When hearing the likes of Mike Ravelli, don’t be fooled by his undeniable fresh sound, he’s by no means the new kid on the block! 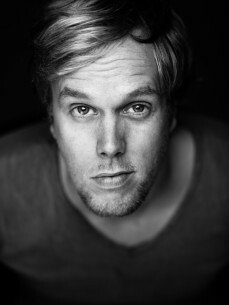 Ravelli is a musical ambassador in the Dutch underground House and Techno scene. He became a pioneering artist with the infamous Amsterdam based ‘GZG’ collective in the early 00's. During that time the Amsterdam’s clubbing scene was shocked by their wild parties and the thriving warehouse destinations and painted a new face to the electronic music industry during that period. Mike began his career in this wild, unpredictable atmosphere, where the crowds from different backgrounds came to party and made DJs think out of the box. Ravelli rose to the occasion, as he developed his versatile style and connection with his fellow partiers. From slow and melodic to fast-paced and energy-packed, his music meets the criteria craved by heated dance floors.